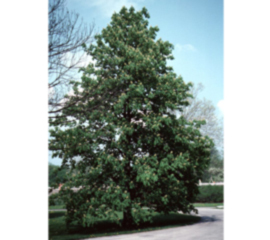 A lovely large native shade tree with several outstanding traits. 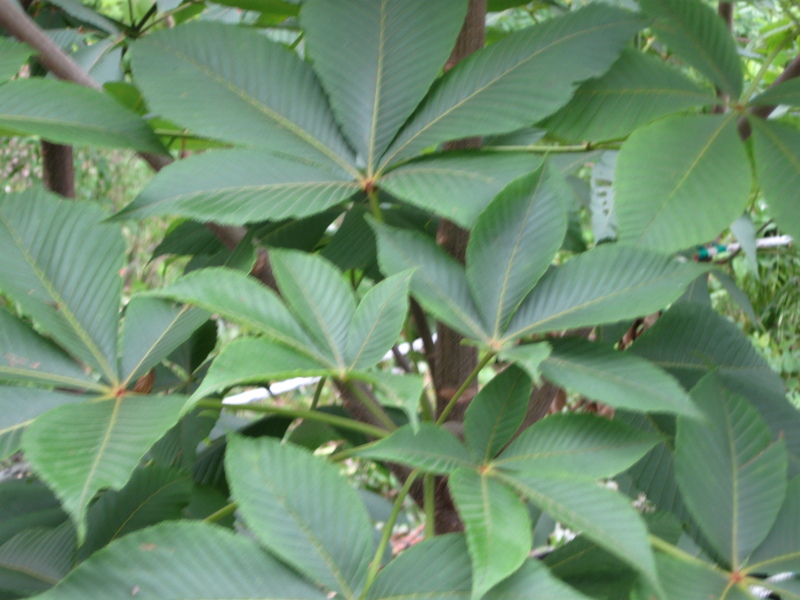 The foliage is a rich green and more disease resistant than most Buckeyes. The early summer cream colored flowers show up after most plants are finished with their floral display. The texture is bold year around and the bark is interesting with irregular gray colored plates. This native is the one of the most trouble free and ornamental of all the Buckeyes. This is a tree with an outspoken statement. While it can be used in a grouping, the best use is as a specimen tree in the front lawn.The bold framework makes a majestic silhouette in the dormant season. Grows to about 80' high and 40' wide. "And out of the ground made the Lord God to grow every tree that is pleasant to the sight..."